All things considered, 2016 was a pretty bad year for the planet and its inhabitants. Lots of bad things happened; lots of good people died; lots of bad people didn’t die, and instead they managed to make more bad things happen as a result; lots of bad movies came out, but some good ones did too. Overall the year was a mixed bag of shock elections, celebrity deaths, and puzzling sequels that no one asked for. Although 2016 was a generally depressing year, there were a lot of massive changes in it for me, all of which were positive ones as far as I can tell. I met new people, I said goodbye to some others, I learnt a lot and I changed jobs, and countries again. As I looked back at the year I realised a lot had happened to me, and it occurred that the person who entered 2016 was radically different to the one exiting it. I’ve grown and changed a lot over the past twelve months, and I’m excited to see what the next 12 will bring in the way of challenges, and experiences. I have some really big plans for this year, and I hope that I achieve them all. This blog has been one of the positive changes in my life. I decided I wanted to start a blog to discuss things that were on my mind, and to have a space on the internet where I could share my thoughts so they weren’t left bouncing around in my head. I’ve really enjoyed writing the blog so far, and I’m proud of myself for sticking to my weekly schedule. It was tough at times, but I feel like I’ve achieved a lot on here just looking back at the posts I’ve written. I fully intend to stick with the blog, and keep writing one post a week published every Friday around 12:30 EST. This is the first blog post of 2017, so I wanted to keep it short and sweet. All that’s left for me to say is I hope you all have an incredible 2017. I hope it’s filled with laughs, love, luck, and fortune. I hope you set yourself goals and strive to achieve them every single day. I hope you live life as much as possible for yourself this year, and I hope you get to make those big steps you always thought were far beyond your reach. I wish you all the very best of luck, and I hope this year I get to meet you all in person and say hello and exchange stories about life. 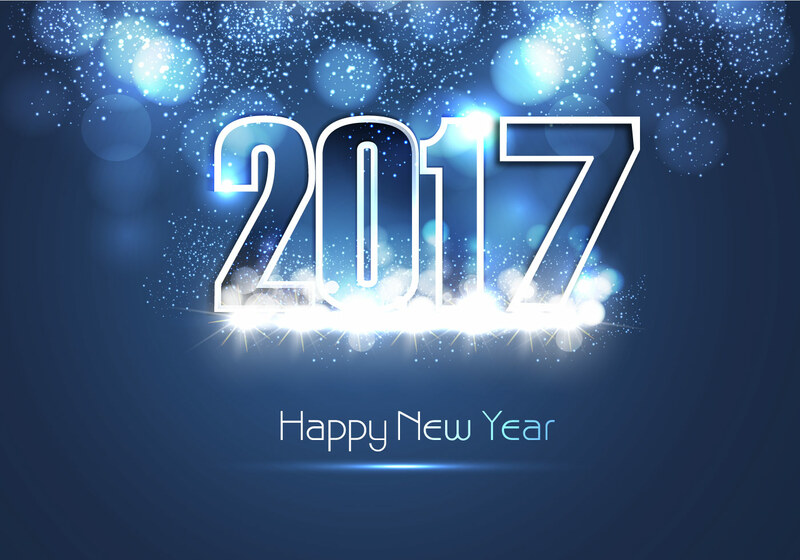 Here’s to an awesome 2017. I’ll see you next week.